10KHits is a simple and easy-to-use scalable traffic exchange for webmasters who are looking for fast and affordable hits to their websites. Founded in 2011, 10KHits has already delivered billions of hits to thousands of clients worldwide. We help webmasters improve their website’s traffic, alexa ranking, SERPs and more. 10KHits is one of the most trusted traffic exchanges on the web today with plans ranging from free, $10 to $29 per month. Additionally, you’ll also get access to our knowledgebase filled with useful information on search engine optimization, search engine marketing, social media marketing, website performance and digital analytics at no additional cost. Where else can you get all this for free? How do I add booster packs to my account? To add booster packs such as extra website slots or extra traffic points to your account, log into your dashboard. Go to the upgrade page and scroll to the very bottom. You can use the slider to see how much hits you would receive if you set your visit duration higher. The slider is for reference only and you can always change the visit duration in the Manage Site settings to increase or decrease the amount of hits you would get out of your points. 1. Update Profile – click on the Get Started button to update your profile. 2. Receive Hits – click on the Add Site button to add your first website campaign and start receiving hits. 3. Earn Points – download the exchanger to quickly start earning traffic points for more hits to your websites. 4. Account Type – shows you which plan is currently applied to your account. Click the plan to quickly view a list of plans you can purchase. 5. 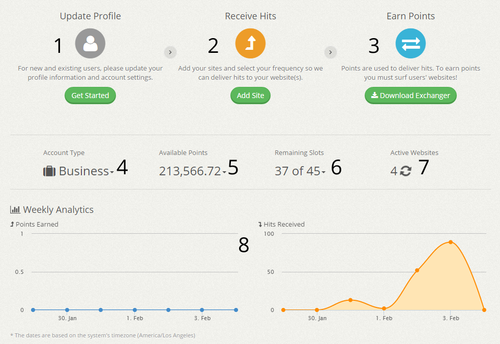 Available Points – shows you how many traffic points you have on your account. 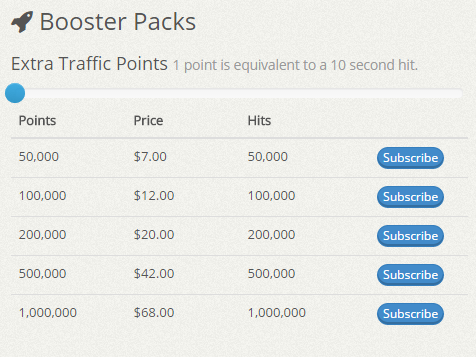 Click on this number to quickly purchase more traffic points via booster packs. 6. Remaining URLs – shows you how many website slots are remaining that you can use to create website campaigns. 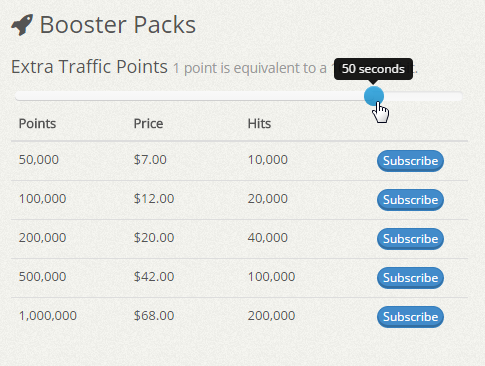 Click on this number to quickly purchase more website slots via booster packs. 7. Active Websites – shows you the number of active website campaigns that are running on your account. 8. Weekly Analytics – displays two line graphs for the points earned and hits received from your account in the past 7 days. How do I earn points on 10KHits? 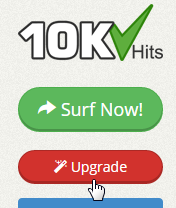 To earn points on 10KHits, just click on the “Surf Now!” button on the left sidebar of the dashboard after logging in. 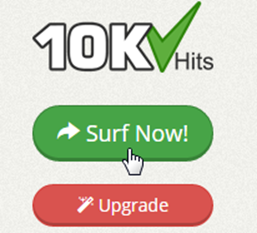 A download prompt will pop up to download our surfing program 10KHits Exchanger. You can also download the exchanger by going to http://10khits.com/download. We recommend you to download the application and use it to surf without interruptions but you can also continue surfing using your web browser. If you do use the web browser, be prepared for any pop ups that may interfere with your surfing. For every website you visit, you’ll earn 1 – 6 points depending on the visit duration of the visit. You’ll earn 6 points if you visit a website that has visit duration of 60 seconds, 5 points for a 50 second visit and so on. Each point is equivalent to a 10 second visit.